Well, that’s that. 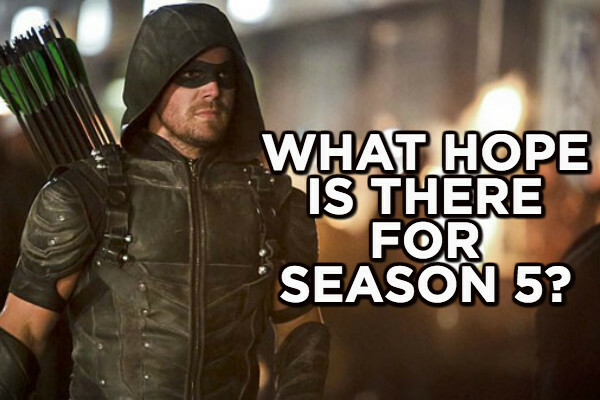 After a rather hit-and-miss season, Arrow Season 4 is done, and it goes out on a rather flat note. It’s not that the Season 4 finale was bad, more that it just kind of happened, which is more of a problem with the show itself than this particular episode. Although promising something different, which was needed after Season 3, the show never quite lived up to that. This week brings to a conclusion that season-long battle against Damien Darhk, and thankfully the one constant of this year has been Neal McDonough absolutely nailing the villainous performance, which he gets to do one last time here. The rest of it though is a beat weak, and ridiculous (even by Arrow standards). The threat isn’t just Darhk, but 15,000 warheads that have been launched – and apparently it’s up to Team Arrow to deal with these?! While they’re being stopped, the rest of the action takes place on the streets, which feels much more at home for an Arrow finale. With one last push for making all the talk and grandstanding about hope – or lack thereof – Oliver’s light is able to defeat Darhk’s, um, darkness, but even that comes at a cost. The threat may be over for now, but the season ends with a reversal of last year’s finale, and leaves a lot of pieces to pick up in Season 5, with doubts about just how well they can put them back together.